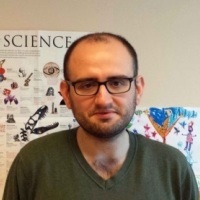 Dr. Can Küçük currently works at İzmir Biomedicine and Genome Center (IBG) and Dokuz Eylul University in Turkey as a faculty and independent PI with his own research group. He has authored research articles in high profile journals on molecular pathobiology or diagnostics of NK and/or T cell malignancies. Dr. Küçük graduated from the Department of Molecular Biology and Genetics at Middle East Technical University (METU) in 2005. He got his Ph.D degree in Cancer Biology and Oncology from Eppley Institute for Research in Cancer and Allied Diseases at University of Nebraska Medical Center (UNMC) in 2012. He worked as a post-doc in the Department of Pathology at UNMC and then at City of Hope Medical Center. 1) identify novel recurrent aberrations that can be targeted by rational drugs. 3) identify novel biomarkers of diagnosis, prognosis or disease management.